Sellers report Etsy is giving full refunds to buyers out of its own pocket over complaints, including slight shipping delays. That might sound unbelievable unless you're familiar with eBay's refund practices. eBay is known to refund buyers out of its own pocket when the buyer is unhappy but it's not necessarily the seller's fault (eBay has a seller protection program). This email is to inform you that Etsy has issued xxxxx a refund of $4.20 for order number xxxxx. This fully refunds their purchase price. You still retain the full payment amount for this order, because the refund was issued using Etsy’s funds. For details of this refund, go to your invoice. $4.20 was refunded directly from Etsy. The seller went on to explain, "(The buyer) opened a case for no delivery which Etsy closed because it was delivered. They refunded her today." "I've heard this has been happening," wrote another seller. "Seller protection covers you, and Etsy pays the refund." In addition to confusion, some sellers said they didn't think it was a good idea - "That is just teaching buyers that all they need to do is complain and then they get free product," wrote one. But another seller said, "I think it's great especially if it's not coming from your pocket." One seller who also experienced the issue said it was not over shipping, it was a customer who complained about a slight imperfection - but the seller had already prepared a replacement to send when they noticed the refund. "I'm sure we're going to pay for this one way or another eventually," one seller wrote. What do you think - is Etsy teaching buyers to complain in order to get freebies? Or will the policy keep buyers coming back for more? How does this compare to eBay's practices? No Way, Etsy refunds a buyer even tho the item was delivered?! "The seller went on to explain, "(The buyer) opened a case for no delivery which Etsy closed because it was delivered. They refunded her today."" This makes no sense, are you sure the facts are correct on this case? Etsy is going to teach their buyers to be just like so many on Ebay are, nothing but Scammers which is going to wind up killing off their business as they will wind up raising fees to cover all of these additional costs. Wall Street used to praise Etsy for not falling into all of the pitfalls that Ebay continually did, but as soon as they hired the ex Ebay employee as the new CEO - they started doing all of the same stupid things that Ebay has done to drive both sellers and buyers off as they forget many times the big sellers are also their best buyers. The Etsy CEO is using all of his Ebay/Bain training where all they know how to do is plan short term. Bain usually is selling things off as a turnaround so they never have anything long term so they never plan for it. Useless hires for a company that is doing well and growing in my opinion. all this will accomplish is to upset more customers in the end. laughable at $4.20 , but what if it was a $420.00 item, I would say nothing, and that customer will be furious thinking they will be refunded. The customer claimed non-delivery when the item didn't arrive when she expected. It arrived 2 days later, and Etsy gave her a full refund. The seller was able to keep the funds and got a refund for Etsy's transaction fee. That's just One of the MOST STUPID things I've ever heard. ebay, Amazon, etsy. Nothing but greedy bullying corporations who's only endgame is their bottom dollar. No ethics, no morals, no loyalty. Sellers, all sellers will pay for stupidity like this one way or the other, be it higher fees, stricter rules with a side order of new scammers to take advantage of honest sellers. People need to find other avenues like FB, CL, neighborhood boards etc. On Etsy you have to "play the game." If you don't, you can forget about any visibility. Another marketplace training buyers to expect everything for free. I'm so glad I sell on eCrater where this kind of foolishness does not exist. A few months ago I got an order for a factory sealed item. The day it arrived at the buyer's residence, she telephoned me, literally screaming at me, that a component was missing. I told her she could obviously see it had never been opened, and inquired if she could possibly have overlooked the item in question, or possibly dropped it on the floor. She, still screaming at me, said she knew what it looked like and it wasn't there. I told her the only resolution I could offer is for her to mail it back and I would refund the purchase price. I never heard from her again and never received the item back. I'm convinced she thought she could get me to refund her money and she'd get to keep the item. @Iheartjacksparrow - you forgot to mention the main thing, they can contact eCRATER and they aren't going to insist that we give refunds for cases like that and with documentation of nonsense like that, eCRATER will deal with negative feedback. eCRATER is seller-centric and they make more money with us there and selling than they do by getting into our faces and insisting we give unearned refunds and other nonsense. They expect sellers to stick to their rules, but unlike Amazon and ebay they don't tolerate sellers that are breaking the rules. They may slip past them at first, but if another seller notices problems with a seller selling things they shouldn't, they will deal with it. While everyone wants to ignore eCRATER saying it is too small, if another 1000-5000 sellers, good decent sellers, set up shop there, they would see us rise like cream. Not sure if it the same this year yet, but ecrater now for several years has been one of the top 10 sellers in the ecommercebytes poll. I buy from retailer websites all the time. Macys, Catherines, Avenue, Belk, Bealls, QVC - NONE of them refund me the shipping cost because something was delivered later than expected. I don't have a problem with that, and I still shop with those retailers. Marketplaces should be no different. When a marketplace does refund in situations like this, all it does is develop a whiny, entitled buyer who often goes one step further and becomes a scamming buyer. Another BAD idea from good ol' Josh. How about we encourage this type of buyer to just frikken GROW UP and act like adults instead of pandering to their whining. Most buyers are wonderful and there simply is no need to be trying to placate these people. etsy being run by former ebay rejects !! now we have etsybay. what geniuses !!! are we ever in for the rod up the a**. Another very bad idea from the geniuses who run Etsy (into the ground). The only reason I can think of for giving a whiny buyer free money is because there is some corporate/ financial benefit for Etsy. As others have said, a bad idea all around. There are so many relatively simple things that Etsy could do to HELP the sellers actually SELL their items, but they refuse to do so. The search algorithms are still hopelessly FU and will not return an exact match if there's a misspelling. Likewise, with singular vs. plural listings that don't come up for the same item. It's a total crap shoot what gets seen and what doesn't. ** Even if you pay for promoted listings there's no guarantee they will show your items! Etsy admits that they no longer make most of their money from sales- it's coming from "seller services." That tells you something. My sales on Etsy have continually grown. I charge higher prices than I would normally on my eBay account. I offer free shipping and I let all my customers know the reason we have to have 5 day handling. Never had any problems yet with customers having to wait. In every case, I've found the buyer's to be very polite and respectful. It is a slow growth. They do have extra fees for promoted listings, both on Google and Etsy. Google actually charges less than Etsy and I've found that promoted listings don't bring me anything. My business will continue to grow slowly and I'm fine with that. Once I get my hooks into a customer, they are mine. Hahahaha. Its Etsy's own fault since they put 'expected' date in the listing page -- DO NOT fill it out. The post office or courier tracking number is all anyone needs. I would not pretend to know when either of the above will deliver something (too many reasons for delays). 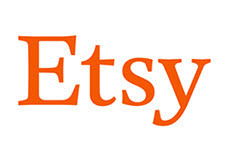 Etsy shooting itself in the foot again by inviting more abuse from unscrupulous buyers. @FlyingChildres --- too true, they just keep trying to get more and more money from shop owners for stupid things. Not to mention the overage charges that a British sleuth figured out that was being charged for all outside the US. Now they have to refund all the people they ripped off. The Postal system is at its worst ever. They should not reinforce the behavior of this current postal system which has failed the American public. First they subsidized the monopolies, mainly Amazon, while raising the cost of shipping to a ridiculous amount. Secondly, the worst service in 39 years of my doing business with them. I have lost a record # of packages have a record # of damgages this year and started using UPS. The new postal employees get paid low wages and don't care about there jobs. I found the USPS to be doing excellently. That is so "eBay" of them, but eBay would have never pulled it out of their own pocket. Etsy need to be careful with this. They will create shady buyer monsters. I rarely get a return on Etsy, Amazon, Ecrater or Poshmark. On eBay returns are so much higher and buyers will lie like jailbirds to get a free return shipping label by claiming that the item is not as described.